폭스콘 산하에 들어간 Sharp (샤프)가 2년 연속 대형 적자가 예상되는 가운데 1천명 감원을 추진 중이라고 일본 언론들이 보도했다. 3일 니케이, 니혼게이자이 등에 따르면 샤프는 2016년 3월 마감된 회계연도 2015년에 약 3000억엔(한화 3조2천억원)의 순 손실을 기록할 것으로 예상된다. 이는 2223억엔의 손실을 기록한 회계연도 2014년 대비 약 35% 손실폭이 확대된 수치다. 샤프가 큰 폭의 적자를 낸 주요한 요인 중 하나는 LCD 사업 부진이다. 특히 최대 수요처인 애플의 아이폰 패널 수요 감소로 인해 타격이 있었다. 이와 함께 태양 전지 사업도 순탄치 않아 이 부문을 접을 수도 있을 것으로 일본 언론들은 보도했다. 이에 따라 샤프는 임직원 1000명 감원을 추진 하고 있다. 샤프는 이미 지난 2012년에도 LCD 생산에 과도한 투자를 단행한 것이 역효과를 낳아 3000명의 직원을 줄였다. 이어 지난 2015년에도 재정 부족으로 인해 추가로 3200명을 감원한 바 있다. 한편 샤프의 공식 실적발표는 오는 5월 12일 이뤄질 예정이다. 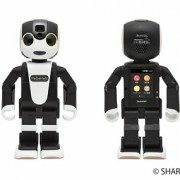 Sharp Corporation will release RoBoHoN, a small and easily portable robot-shaped phone. The phone was developed in collaboration with Tomotaka Takahashi, Project Associate Professor at the University of Tokyo’s Research Center for Advanced Science and Technology and CEO of robot development company Robo Garage Co., Ltd. RoBoHoN is the world’s first*1 mobile robotic phone. This humanoid robot can walk on two legs and is compact enough (approx. 19.5 cm tall) to be carried almost anywhere. Supporting LTE and 3G networks, it has all the basic mobile phone functions, such as phone, e-mail, and camera, as well as a range of services accessed through dedicated apps, all of which are used by conversing with this humanoid. A newly developed built-in compact laser projector*2 with focus-free operation allows users to project photos, videos, and maps onto a screen or wall. Users can also download dedicated apps to give it new functions and services. What’s more, it can grow to accommodate more natural communication with the user by learning the user’s profile and usage situation. 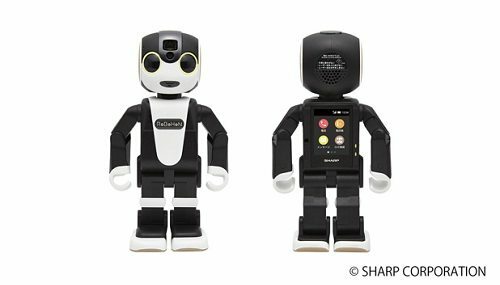 Sharp is focusing on promoting and supporting RoBoHoN, a totally new concept in IT mobile devices. http://olednet.com/wp-content/uploads/2016/03/Sharp_Head_Office.jpg 699 1024 OLEDNET /wp-content/uploads/2015/09/logo_oled.png OLEDNET2016-04-04 11:00:152018-07-11 21:56:55Foxconn’s Takeover of Sharp, Who is the Biggest Casualty? 폭스콘 샤프 인수, 최대 피해자는 누구? 폭스콘의 샤프 인수에 따라 가장 큰 직격탄을 맞을 기업은 어디일까? 지난 30일 대만 혼하이 그룹의 폭스콘이 디스플레이 생산업체 샤프를 4조원에 인수하기로 결정함에 따라 글로벌 디스플레이 시장에 미칠 파장이 주목된다. 삼성디스플레이(SDC), LG디스플레이(LGD) 등 글로벌 디스플레이 시장을 리드하는 한국 기업들은 물론 일본, 중국, 대만 등의 주요 디스플레이 업체들도 이번 인수에 촉각을 곤두세우고 있다. 이 가운데 이번 인수가 가장 위협이 될 업체는 재팬디스플레이(JDI) 일 것이라는 분석이 나온다. 애플이 차기 아이폰에 LCD 대신 OLED 패널을 탑재한다고 알려지면서 이는 OLED 시장의 거대한 먹거리가 될 전망이다. 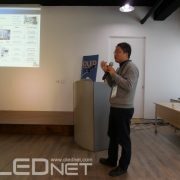 아이폰용 OLED 공급사로 SDC, LGD, JDI 세 업체가 가장 유력한 업체로 거론 돼 왔다. 일부 언론에서는 SDC가 이미 애플에 OLED 공급 계약을 맺었다는 보도가 나왔으며 제 2 공급권 자리를 두고 LGD와 JDI가 각축전을 벌이고 있는 것으로 알려졌다. 하지만 폭스콘의 샤프 인수로, 아이폰용 OLED 공급을 두고 SDC, LGD, JDI의 ‘3강 구도’가 깨질 수 있다. 그 중에서도 JDI가 밀려날 가능성이 가장 높을 것으로 전문가들은 내다본다. LCD 탑재 아이폰용 패널의 최대 공급사는 LGD로, 50% 이상의 비중을 차지하는 것으로 알려졌다. 뒤 이어 SDC와 일본의 샤프가 아이폰용 LCD의 제 2, 제 3 공급사인데 두 업체 중 누구의 비중이 더 큰지는 확인되지 않았다. 하지만 애플이 OLED를 채용한다고 알려지면서 OLED 양산라인 투자 계획이 있는 JDI가 애플의 새로운 패널 공급사로 떠올랐다. 이에 샤프가 아닌 JDI가 SDC, LGD와 함께 아이폰 OLED의 유력 공급사로 물망에 오르게 된 것이다. 그러나 폭스콘이 샤프를 인수함으로써 얘기가 달라졌다. 현재 샤프는 모바일용 OLED 라인이 없지만 샤프의 소형 LCD라인은 OLED로 전환할 수 있는 LTPS 기반이다. OLED 부문에 투자할 예정인 폭스콘은 샤프의 소형 LCD 라인을 OLED 라인으로 전환할 가능성이 크다. 또 폭스콘은 애플의 핵심 외주 생산 협력사다. 심지어 폭스콘이 인수한 샤프도 애플의 패널 공급사 중 하나다. OLED 기술력이 검증된 SDC, LGD 외에는 애플의 제 3 OLED 공급처로 JDI 보다는 애플과의 관계가 훨씬 긴밀한 폭스콘이 선택될 것이라는 시나리오가 나온다. 디스플레이 업계 한 전문가는 “아이폰 OLED 공급권을 두고 폭스콘이 JDI를 밀어낼 수도 있으며, 밀려나는 것은 겨우 면한다 해도 설 자리가 가장 좁을 것”이라며 “SDC, LGD에 비해 폭스콘과 JDI 모두 OLED 부문 후발주자일테지만 폭스콘은 애플과의 관계가 탄탄해 JDI보다 유리한 입장이다”라고 설명했다. 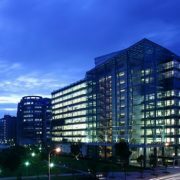 http://olednet.com/wp-content/uploads/2016/03/Sharp_Head_Office.jpg 699 1024 OLEDNET /wp-content/uploads/2015/09/logo_oled.png OLEDNET2016-04-01 14:27:002018-07-11 21:57:05폭스콘 샤프 인수, 최대 피해자는 누구? 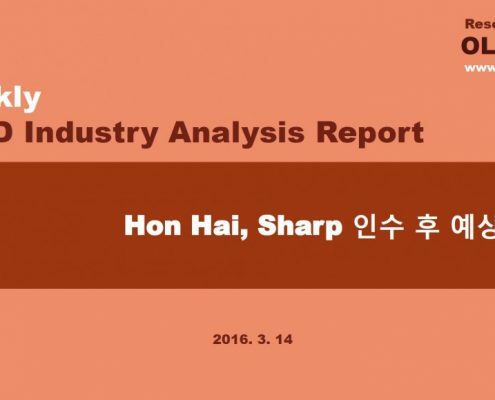 On March 30, 2016, Taiwan’s Hon Hai’s Foxconn agreed to buy Sharp for about $ 3.5 billion. With this decision, there is much focus on how it will affect Korean display and set companies including Samsung and LG. Foxconn, primarily an electronics contractor manufacturer, became responsible for Apple’s iPhone production and continued its growth. 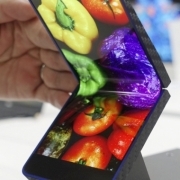 The fact that through this takeover Foxconn now possesses display mass production ability can greatly affect Korean companies that are currently leading the display and set market. A possible scenario for future includes Foxconn becoming a strong competitor for Samsung Display and LG Display in smartphone OLED sector for Apple’s iPhone. 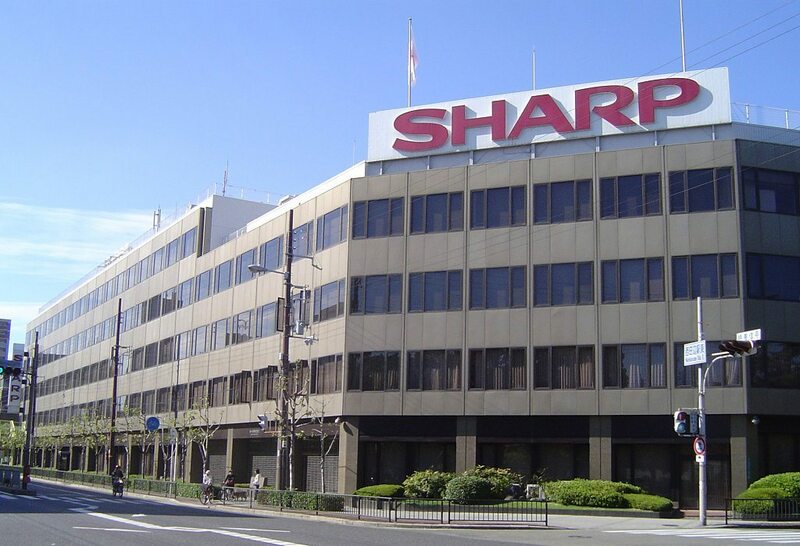 Although Sharp is a company that produces LCD, it is estimated that Foxconn will invest in Sharp to mass produce OLED. Apple is expected to release OLED equipped iPhone from 2017, and it is known that Samsung Display, strong in OLED, have agreed to supply the initial volume. As Apple has been close with LG in supply and demand of display, some believe that LG Display will become the biggest supplier in future. However, if Apple’s key collaborator Foxconn begins to produce OLED, it could become a strong rival for Samsung and LG. Foxconn, despite being a contract manufacturer, became widely known with great growth. As such, the company could branch out into producing sets under their own brand name. 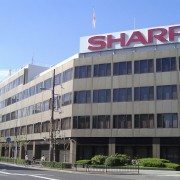 Furthermore, with the display mass production now possible with the Sharp takeover, this scenario is gaining traction. 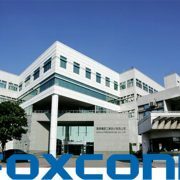 According to market experts, Foxconn is now able to expand its smartphone and TV set business. As Chinese set companies are rapidly growing to threaten Korean companies, the prospect of Foxconn’s set business cannot be ignored. One display expert explained that as a key collaborator of Apple, Foxconn can successfully enter the smartphone panel market. He further analyzed that with Foxconn’s expertise in set production, their own brand set release is not too much to expect, and that this will be easier with the takeover of Sharp. 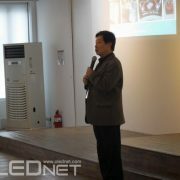 http://olednet.com/wp-content/uploads/2016/03/16_3_31_OLED.jpg 453 680 OLEDNET /wp-content/uploads/2015/09/logo_oled.png OLEDNET2016-03-31 14:25:382018-07-11 21:57:11Foxconn Takes Over Sharp…what will happen to Samsung·LG? 폭스콘 샤프 인수…삼성·LG에 어떤 영향? 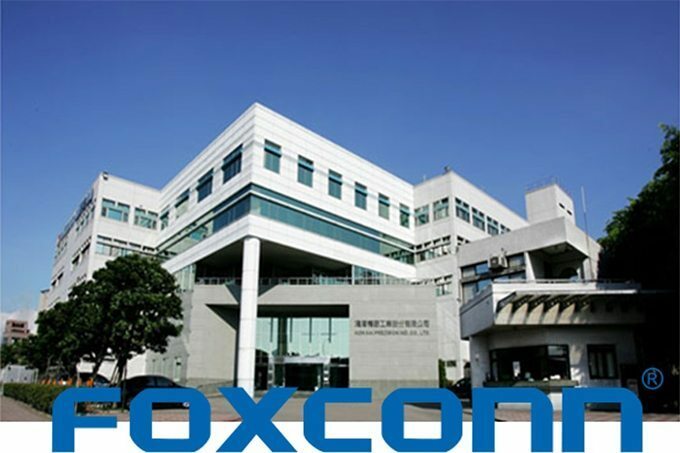 2016년 3월 30일, 대만 혼하이 그룹의 폭스콘(Foxconn)이 디스플레이 생산업체 샤프를 4조원에 인수하기로결정함에 따라 삼성, LG를 비롯한 국내 디스플레이 및 세트 업체들에게 어떤 영향을 미칠지가 주목된다. 지금까지 폭스콘의 주 사업은 스마트폰 외주 생산이었다. 특히 애플의 아이폰 생산을 맡게 되면서 괄목할만한 성장을 거듭하며 세계의 이목을 끌어왔다. 그런 폭스콘이 샤프인수를 통해 디스플레이 자체 생산 능력을 갖추게 됐다는 것은, 디스플레이 및 세트 시장을 주도하는 한국 기업에 지대한 영향을 끼칠 수 있다. 어떤 시나리오들이 있을지 분석해 봤다. 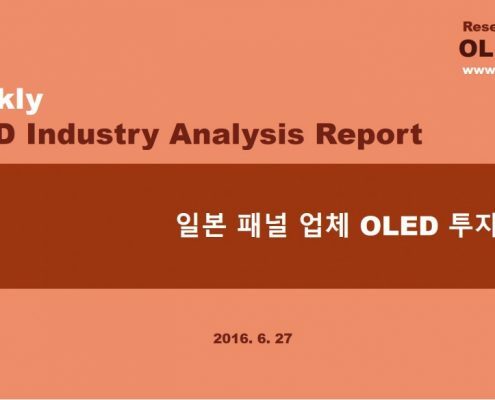 샤프를 얻은 폭스콘은 디스플레이 시장에서 애플 아이폰용 OLED 공급을 두고 삼성디스플레이, LG디스플레이와 막대한 경쟁자가 될 것이라는 시나리오가 가능하다. 현재 샤프는 LCD 생산업체다. 하지만 폭스콘은 스마트폰용 OLED 생산을 위해 투자한다고 밝힌 바 있다. 이에 따라 폭스콘은 향후 샤프가 OLED 양산라인을 갖추도록 투자할 것으로 전망된다. 특히 샤프의 소형 LCD 양산라인은 LTPS 기반이라 OLED 라인으로 전환이 가능하다. 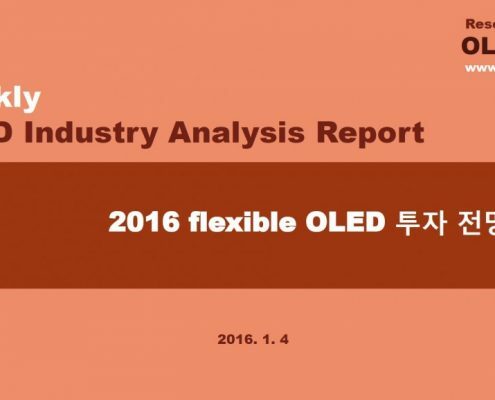 오는 2017년부터 애플이 OLED 탑재 아이폰을 출시할 전망이며 OLED 강자인 삼성디스플레이가 1차 물량 공급 계약을 한 것으로 알려졌다. 하지만 애플의 공급처 다각화 전략에 따라 점차 LG디스플레이 등도 아이폰용 OLED를 공급할 공산이 크다. 지금까지의 여정을 본다면 애플은 디스플레이 수급에 있어서 LG와의 관계가 가장 긴밀했기 때문에 장기적으로는 LG디스플레이가 최대 OLED 공급처가 될 것이라는 견해도 나왔었다. 하지만 애플의 핵심 협력사였던 폭스콘이 샤프를 통해 OLED를 생산하게 된다면 이는 향후 아이폰 디스플레이 공급자 자리를 두고 삼성, LG에게 강력한 라이벌이 생길 수 있다는 얘기다. 폭스콘은 지금까지 주로 외주 생산 업체로 인식됐지만, 성장을 거듭해 규모가 커지고 전세계에 ‘폭스콘’이라는 이름을 널리 알리는 데 성공했다. 이 때문에 남의 제품 생산을 넘어 자체 브랜드 세트 출시를 꿈꿀 수 있다는 견해도 나온다. 심지어 이제 샤프를 통해 디스플레이 양산이 가능해짐에 따라 이 같은 시나리오가 더 힘을 받는다. 증권가 등 시장 전문가들에 따르면 샤프 인수로 인해 폭스콘은 LCD 패널의 수직계열화 구축으로 스마트폰 및 TV 세트사업 확대가 가능하다. 세계 시장에서 높아진 ‘폭스콘’이라는 브랜드를 내세워 세트 업체로 거듭날 수 있다는 얘기다. 가뜩이나 중화권 세트 업체들이 세계 시장에서 삼성, LG 등 한국 기업들에게 위협이 될 정도로 성장세를 보이고 있다. 이에 폭스콘의 세트 사업 가능성은 무시할 일이 아니다. 디스플레이 업계 한 전문가는 “폭스콘은 애플의 핵심 협력사였다는 강점을 무기로 스마트폰용 패널 시장에 성공적으로 진입할 가능성이 크다”며 “세트 생산에 있어서도 오랜 노하우와 기술력을 갖췄기 때문에 자체 세트 출시는 무리가 아니며 샤프로 인해 디스플레이 양산까지 가능해진다면 더욱 수월해질 것”이라고 분석했다. http://olednet.com/wp-content/uploads/2016/03/16_3_31_OLED.jpg 453 680 OLEDNET /wp-content/uploads/2015/09/logo_oled.png OLEDNET2016-03-31 10:15:502018-07-11 21:57:21폭스콘 샤프 인수…삼성·LG에 어떤 영향? 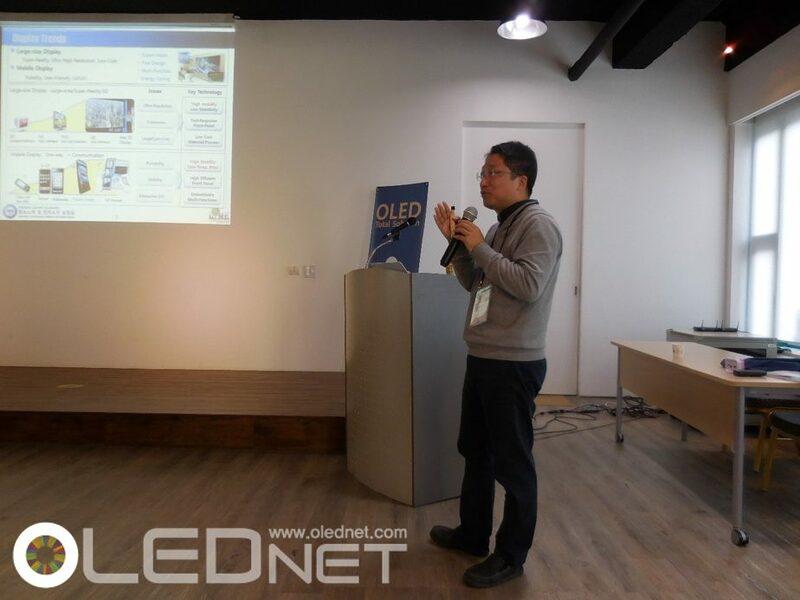 During the 2015 OLED Evaluation Seminar (December 4) hosted by UBI Research, Professor Jin-Seong Park of Hanyang University gave a presentation titled OLED Oxide TFT Technology Trend, discussing oxide TFT, related industry, and technological issues as well as TFT technology that should receive the spotlight in 2016. Oxide TFT has an advantage of high mobility and large area uniformity compared to a-Si TFT. As such, it is being more applied to large area OLED panel and used in LG Display’s OLED TV. 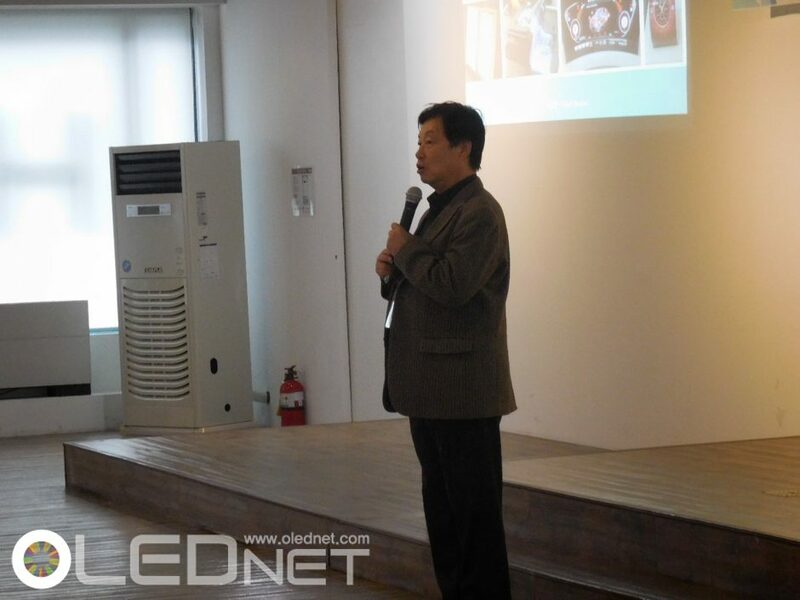 Park revealed that there are mainly 4 issues regarding oxide TFT and led with the reliability issue. Oxide TFT is essentially in amorphous state but when crystalized, the density and crystallizability increase; as oxygen does not move away and stay in place, defects occur less and reliability is high. Japan’s SEL and Sharp published CAAC (C-Axis Aligned Crystal) structure related oxide TFT paper, and Cornell University produced CAAC oxide TFT by increasing the substrate temperature and adjusting oxygen’s partial pressure. The second issue is composition ratio. Park reported that composition ratio is the most closely related characteristic to TFT’s mobility. He revealed that recently research is being carried out centering around IGZO (indium gallium zinc oxide), but also oxide TFT research with different composition ratio is continually published. For example, ITZO (indium tin zinc oxide)’s mobility has been reported to reach 30cm/Vsec, and BOE is working on the related research. Research results, which showed increased mobility and reliability for IGZTO, which is IZTO with G added, was published, as well as ZnON (zinc oxide nitride) TFT’s 100cm/Vsec mobility. 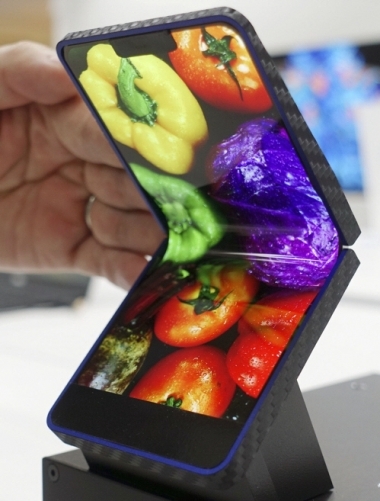 BOE demonstrated ZnO TFT applied 14.1inch AMOLED. The third issue is the device structure. Park explained that efficiency can increase when top gate structure is used to oxide TFT as parasitic capacitor is not needed, but that the process is difficult. However, Park reported that JOLED revealed when self-alignment is used the number of masks used can be reduced and increases performance. This structure is applied to OLED TV by LG Display. Lastly, Park gave the safety of device as the last issue. 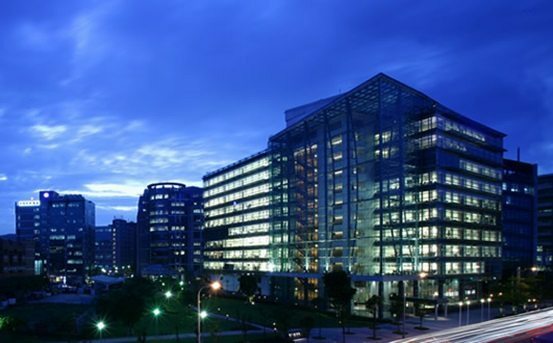 Oxide TFT can exhibit degradation effects from light, oxygen, hydrogen, and moisture. Park reported that hydrogen particularly has great effect on the safety. 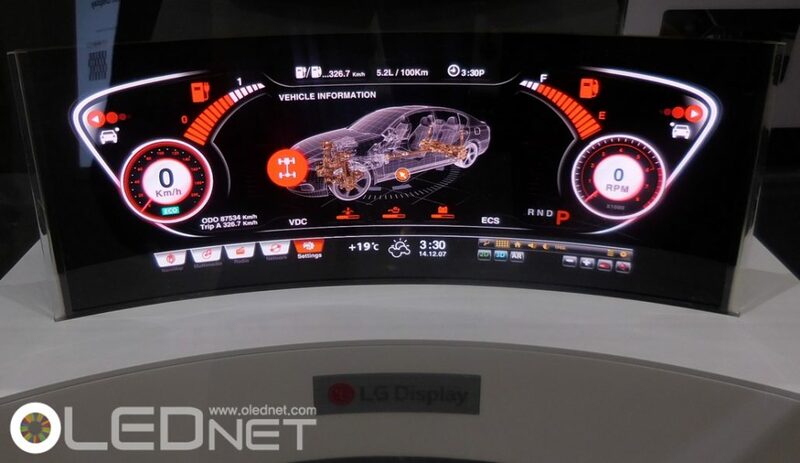 He explained that although the current prevailing OLED TFT is LTPS, as the panel becomes larger there will be technological competition between oxide and LTPS. Reporting that TFT which is cost efficient and shows high performance in diverse factors such as resolution will dominate the market, Park concluded his presentation.